As a member with MS811 you will be notified when an excavation is taking place near your underground utilities/facilities. This will allow you to mark the location of your underground utilities/facilities prior to the excavation taking place, to prevent damages to your lines. For more information, on becoming a member, contact Miriam Grammar at office@ms811.org or 601-362-4322. If you are ready to become a member now use the links below to complete the necessary Membership Forms. 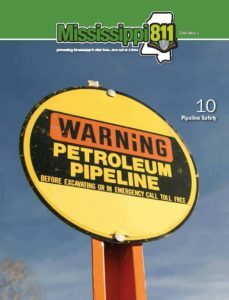 To report an intended excavation to MS811 you will need to dial 811 (out of state callers dial 1-800-227-6477) or submit your locate request online.